While investments are increasing significantly on Renewable Energy, after definition the target of 20% share of renewable energies in the EU's energy mix by 2020, the sector is suffering from "Skill Gaps" in all-over Europe. Moreover, there is no adequate provision of standardised vocational training addressing technicians and skilled workers in considerable number of European countries.This is indicating the fact that actors of vocational education must cooperate intensively to increase the quality of vocational education in that field. In order to meet mentioned needs, this partnership will be a platform to establish European Cooperation in vocational education of Renewable Energy Sector in partner countries with the participation of educational institutions, universities, and enterprises. Via project activities, partners will be able to experience the context of renewable energy sector and provided vocational education in partner countries. Besides, conducting field and literature researches, all the partners will make contributions to Country and Benchmark Reports which are the main outputs of the project. The Final Conference will also be good opportunity to disseminate knowledge and experiences acquired during the project. It was good oppurtunity for the Project to combine our dissemination activity and International Energy Symposium of Ege university. İzmir welcomed us with it’s very nice weather. 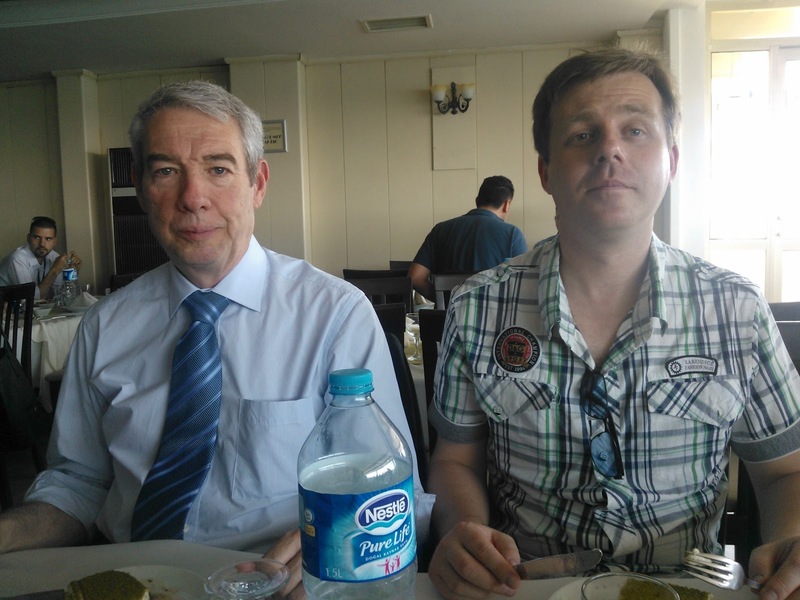 Location of the Symposium Center was choosen very well, in Konak, the heart of the İzmir. 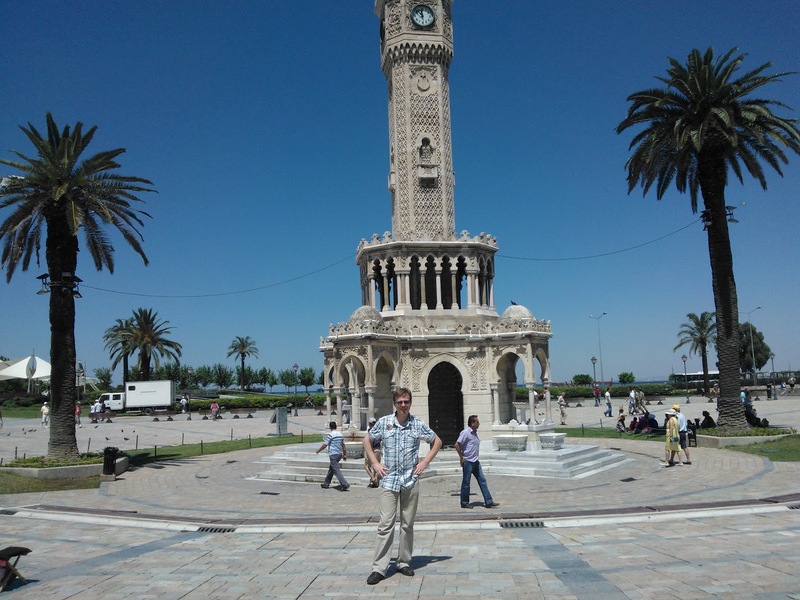 That allowed us drop in at historical and very well known places of İzmir, Kemeralti Bazaar, Clock Tower, Historical Elavator, Kordon Street. And symposium itself, it was very well organized and beneficial symposium for us. We have find oppurtunity to meet not only with project partners, but also with many diffrent bodies, companies and universities around the world. Among all sessions, I liked most the” Nedo Project” session which reveals many diffrerent approaches for energy efficieny renovation of public buildings. Besides, dinners in Lamia Boat and Homeros Valley was very nice and unforgettable memories of the meeting. Finally, we have reached the end of Project. I believe we had very beneficial experiences in renewable energy sector of partner countries. We have new and different point of views after all mobilities and Project effort. The Project outcome will reflect all these acquirement. But for me, the most significant acquirement was knowing each others. I hope to work these valuable partners in very near future again. The 5th and last transnational RENEWVET meeting took place in Izmir between the 28 and 30 th June. This final meeting had two main objectives: the presentation of the final benchmark report to all partners and also to participate in the 6th International Edge Energy Symposium and Exhibition being held in the city. It turned out to be probably the most pleasant of all meetings because most of the hard work had been done and our hosts: Edge University, represented by Mr. Mete did an excellent job in receiving us. After 13 hours of travelling from Portugal, with stop offs in Barcelona and Istanbul, we arrived in Izmir airport. At about midnight we took a taxi to the University guesthouse. Thus, we were pretty tired the following morning when we all met up at the impressive Ataturk Cultural Center where the symposium was being held. On this first day we saw some presentations and were glad to see the importance being given to renewable energies by so many countries and dedicated people. In the afternoon we all met and Mr. Baris presented the benchmark report which was very objective, concise and to the point. We discussed a few twitches it may need and also the final report to our wonderful project. After the meeting we had a bit of free time so we rambled through the local bazaar which was fascinating. What we were not expecting was the fantastic evening meal on board a boat in Izmir bay which was offered to everyone who attended the symposium. It was really an amazing experience. On the second day of the meeting some of the partners gave a presentation at the symposium. ETP Sicó felt quite honored to be part of such an impressive event considering that we came from a small renewable energy vocational school. Everything went well and we were even asked some questions by the people assisting. This second day was wrapped up by a fantastic meal on top of the mountain which overlooked the city and its beautiful bay. On our last day we took advantage of the fact that all the hard work had been done and scheduled a trip to Ephesus and spent some time rambling through the magnificent ruins they have there, before returning to Istanbul and flying home. The 5th and Final Transnational conference coincided with the 6th Ege Energy Symposium (http://www.egeenergy.org/) taking place from 28-30 June, 2012 organised by Ege University. This was the perfect platform to bring this project to an end as the conference/ symposium was attended by hundreds of people coming from all over the world, literally! The RENEWVET partners were accommodated at EGE's guesthouse which was to a very good standard and even had WIFI in all the rooms. This is always important as everyone still needs to be able to respond to emails/ queries - even when abroad. The first day saw the final conference of the RENEWVET project where we drew together the final outputs of the project (Benchmark Report, Blog, Final Report to Leonardo) and discussed our contributions to the "6th International Ege Energy Symposium and Exhibition (IEESE-6)"
The second and third day were spent attending the many interesting presentations, speeches and the exhibitions from local and international organisations active in renewable energy technologies. The most excitement was to see how big the sector has become and how much interst there is in Turkey. We (Embrace) were especially excited as we submitted a Transfer of Innovation project together with EGE University & the Austrian Institute of Technology to transfer renewable energy training methodologies to from UK/ Austria to Turkey. Now, in retrospect, we are even more excited to have been granted the project and to have visited Izmir again for the first Kick-off meeting on the RES II project (Renewable Energy Specialists II). 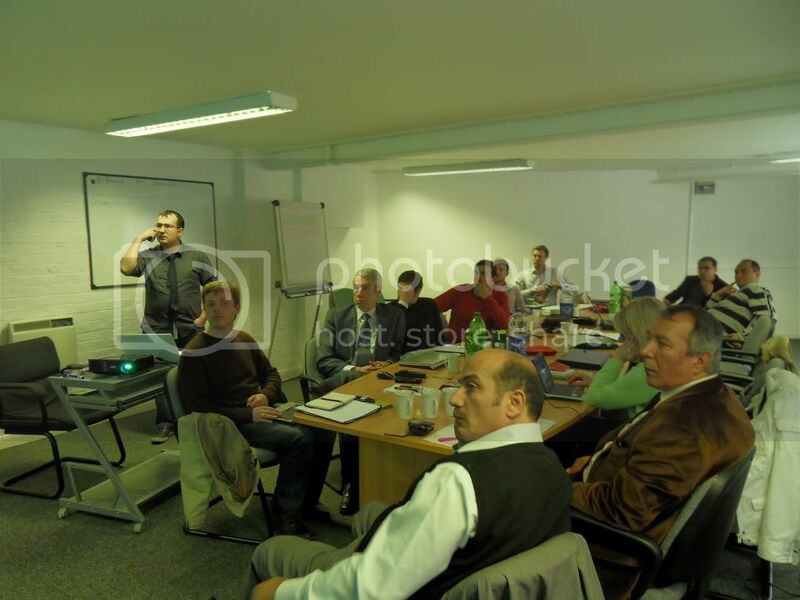 The last 2 years have really culminated in the successful cooperation with professional partners and taking the next step of working on developing a standardised training course for IVT/ PLM involved with renewables, especially electricians, plumbers, heating engineers and other related professions. To have the same standard across the EU when it comes to having people trained on renewables is very important because it allows for workforce mobility and well-installed systems and technologies. This is important because the sector is relatively new and needs to be promoted still. This is best done by highlighting well-running systems (whether domestic or commercial), being installed properly by trained and qualified people. The sector is one of very few sectors that still enjoys healthy growth and it is the sector of the future - having a clean and stable energy supply will become ever more important for Europe and the World. 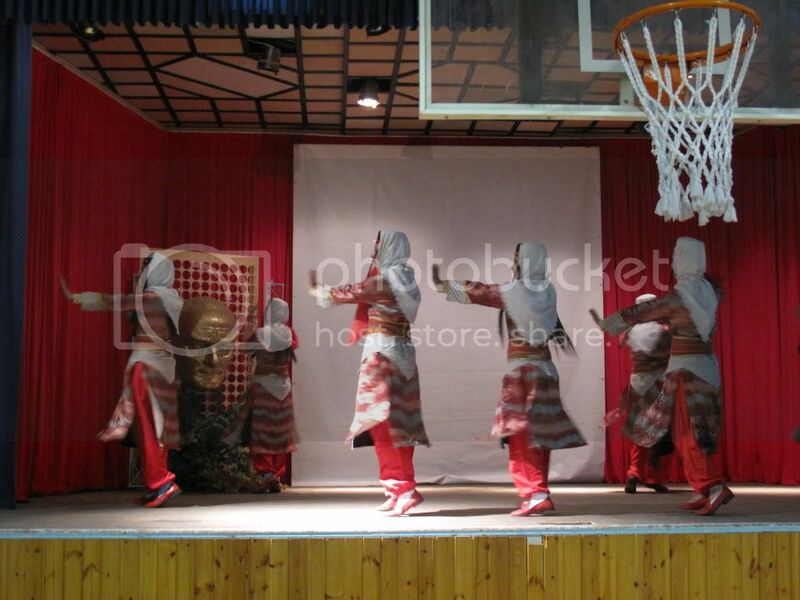 At the evening of 27th, we arrived to Hotel Castel in Mojmirovce, the hotel made us very suprised. Because it has been very unusual with it’s baroque architecture, large rooms and high ceilings. It gave me the impresion that I live in 1700’s. It was a nice experience for me. 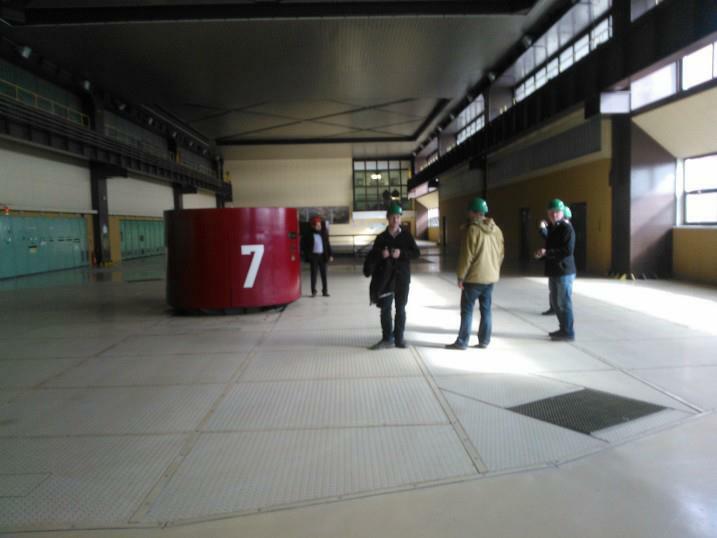 First day of the meeting, we carried out a visit to hydro plants of Slovakia, Gabcikova plant is also impressed us very much. 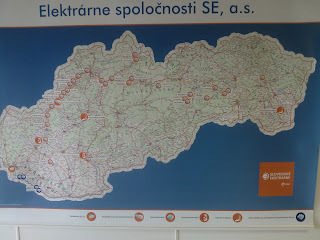 Our guides was so anthesuastic to inform us about the plant and water issues in Slovakia. We have also found opputunity to observe operation of one turbine. After then, we went to “Boat Locks”. This was the first time I have seen such mechanism which let boats proceed through the navigation channels from one side to others, we remember the genius of Da Vinci’s one more time. Second day, we had very fruitful meeting, reaching agreement for all remaining tasks, benchmark report, conference, articles etc. 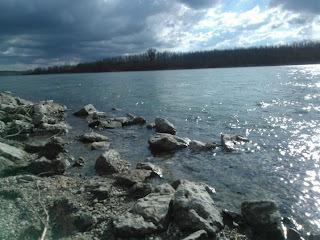 Finally, we are leaving Slovakia with nice impressions and memories of beautiful Danub River. I would like to thank Zuzana and her team form warm welcoming and hospitality. Now we are at nearly the end of this project.We visited two different countries for this meeting.First we came to Wien from İstanbul.Then went to Bratislava and stayed one day –near the home of presedent .During our trawell the interesting thing was; i asked how can we go our final destination mojmorovce and nobody knows the village.İt was wery difficult to spell the name of the village.The hotel that we stayed in Mojmorovce was memorable.İt was very historical and mystic place .Visiting the hydroelectric power plant was wery interesting and benefical for me. 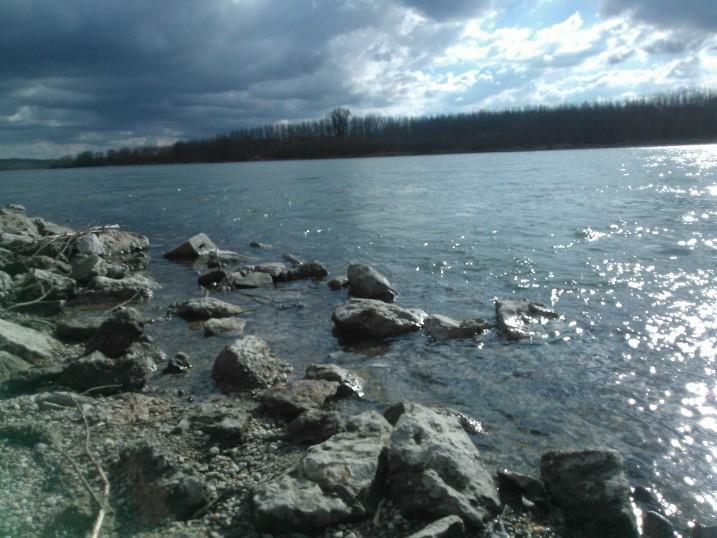 Connecting cities wiht water channels –even Bratislava to Nederland-is wery good idea and efficient project. Miss my three month old baby. Slovakia meeting was good for the project progress. it was benefitical for final to the some of project tasks. We can say that project almost finished. And we think that the result will be satisfying. First day we visited a hydro power plant in Slovakia. We saw turbines in operation. We talked about country reports and banchmark reports which are prepared for each partner's contrubution. The Project continues non-stop and still so much work to do. Next stop will be held in Izmir on betweeen 28th-30th June 2012. Until then have successful days for everyone. See you soon. 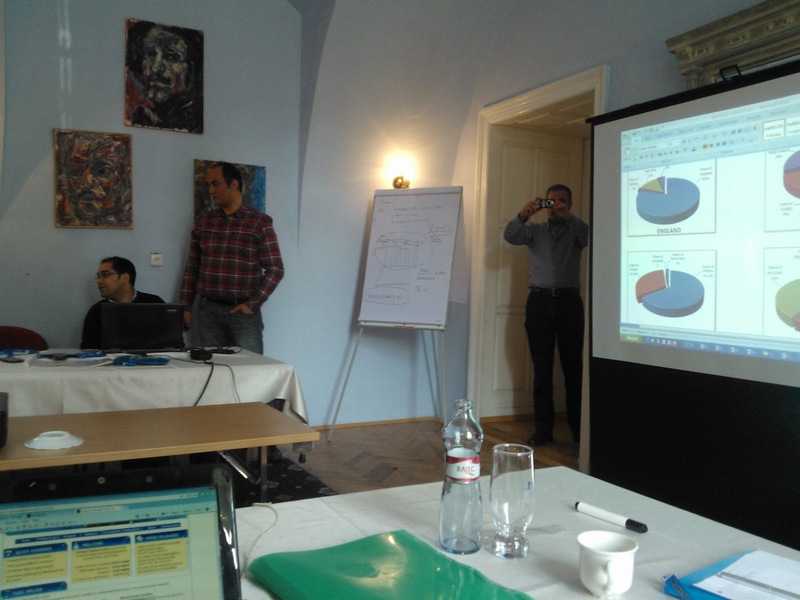 The 4th transnational meeting in Slovakia consisted on completing the agenda set out at the previous meeting in Portugal. Each group had to provide feedback on each part of the benchmark report allocated to them. 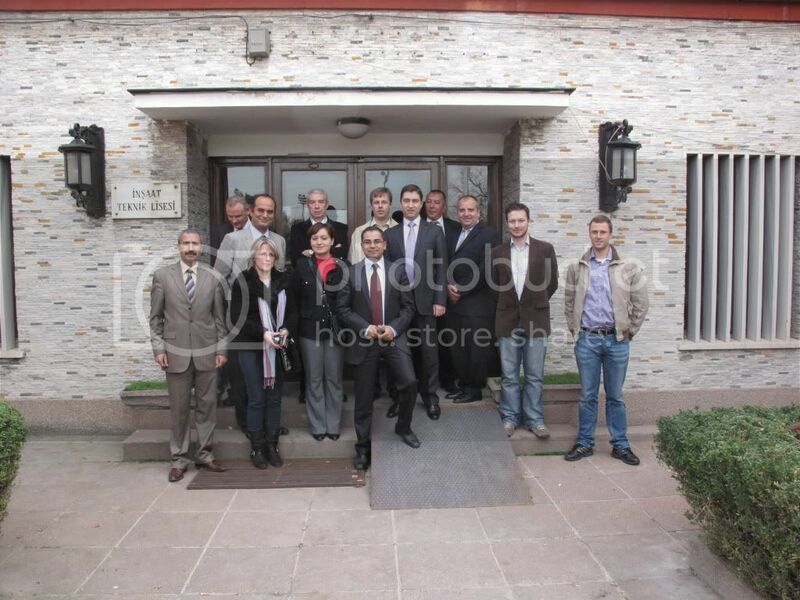 All partners met in a pleasant hotel in Mojmirovce, a town near Nitra. On day one of the meeting our hostess, Zuzana accompanied us on a technical visit to Hydropower plant Gabcikovo, on the Danube. This turned out be very impressive. Mr. Holcik – chief of the Slovak Dam Counsel, gave us a very complete guide of how everything worked. We were even taken to visit the innards of the dam to see the huge turbines in operation. At the end of the day we enjoyed a delightful Slovakian meal in the hotel. On day two all partners met in the conference room of the hotel to carry out the previously established tasks. Some minor issues arose regarding some of the conflicting values in the reports, however these were expected and easily corrected. We also discussed the final format of the benchmark report and the next – and final – transnational meeting in Iznir, Turkey. To conclude, this last meeting was as successful as the others, perhaps even more so, since we are all familiar with each other now and work is made easier. We are already regretting the fact that the meetings are coming to an end, however this meeting has allowed to discuss possible future projects. We arrived in Slovakia (Bratislava) on a very early flight from London (6.20 am from Stansted). This meant we were up at 3am in the morning…. We arrived in Bratislava and took a taxi to the Main Bus Station to get our bus to Nitra (1.15 h) and from there another taxi to the Hotel as there were no local buses at that time. We arrived just around lunch in Manorhouse Mojmírovce (http://www.vic.sk). After lunch we settled in and caught up on some sleep. Stabilisation of the stream improved environmental parameters: improved quality of potable water and it stopped falling groundwater level (which improves conditions for agriculture and stops desiccation of floodplain forests, as a result of closing up meanders). As this day also started very early (6.30 am) everyone was tired when we came back. The hotel facilities provided the necessary balance to the day and we checked out the swimming pool, sauna and local shopping amenities. The next day was our partnership meeting where we discussed the Country Reports, Benchmark Reports and also made important decisions to the submission of articles to Ege’s Energy Symposium in June etc. The late afternoon was spent on cultural visit to Nitra, the next largest town. On Friday we will have yet another early start at 6am to make our way to Nitra, then by bus to Bratislava and then London. We would like to thank our Slovakian partner for the hospitality and the well-arranged technical visit. By now we have seem so many great examples of how to use natural resources in the different partner countries so that an overall picture emerges to use them more wisely and responsibly. On Wednesday 19th October we visited the town of Penela, where we went to the ETP Sico school (Escola Tecnologica Profissonal de Sico). We viewed an electrical engineering class of students aged 18-19, who were happily designing and connecting simple household lighting circuits. The school has achieved the top Eco-Escolas Green Flag award for having a very low energy consumption. We also visited Penela Castle, which was built to defend the town from being re-conquered by the Moors in the 11th Century. We then were received by the President of the Camara Municipal de Penela, Sr. Antonio Alves, who very kindly welcomed the delegations of Turkey, Slovakia, and the UK, and explained the administrative difficulties of a region such as Penela, with a small population of just 6,000, but with 92 villages. The education system in the region had recently been streamlined from 13 schools into just 3, with a great deal of investment, meaning that the administrative overhead had been greatly reduced, enabling much greater opportunities for the students. The 3rd transnational meeting turned out to be very successful. We achieved all the planned activities in less time than predicted. We decided to follow what had been agreed upon at the previous meeting in London – one day would be dedicated to visits and the other would focus entirely on the meeting at the hotel. The last day should consist on the guests doing some exploring of their own. On the first day of the meeting, we aimed to provide our guests with a general impression of how the RE vocational training course operated at ETP Sicó, from beginning to end. Our guests visited the school, where the students have their theoretical lessons; they visited the workshops, where they learn the practical side of the course; and also a company where ETP Sicó’s students get real work experience. This last destination consisted of a visit to the Fajão Windfarm (the biggest in Portugal), in Pampilhosa da Serra, operated by the Danish firm Vestas. Here we were received by Mr. Rodrigo Pena, who is responsible for supervising all wind farms in central Portugal. We ended the first day with what Portugal does best, Bacalhau (roasted cod fish) and red wine. Our host, Ricardo Reis did his best to receive us in his wine cellar where he had laid out a huge table amongst the wine vats. Everybody used the opportunity to get to know each other a bit more. 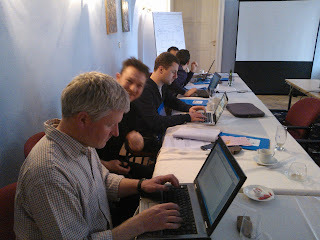 We began the second day of the meeting at 9:30am in the meeting room of the hotel in Coimbra. Each group gave an oral presentation of their National Report with the aid of a video projector. After we had all given our presentations we discussed possible adjustments and corrections to be made. The group coordinator – Baris Ozcelik did an excellent job moderating the work. Following this we began to discuss the preparation of the Benchmark report. All groups committed to a workplan and distribution of tasks of partners. Following a delicious meal in a typical Portuguese restaurant near the hotel, we began planning the next meeting. It was agreed that it would be from the 29th February to the 2nd March 2011. Finally, each group wrote an evaluation of the meeting to be placed on the group’s blog. To conclude the day’s activities we all walked to the riverside and had a farewell coffee. Since many of the groups’ participants had to leave the following morning it was agreed that on the last day we would not meet formally, since all the objectives regarding the meeting had been achieved. The visit to Penela, Coimbra was quite good for we have the opportunity to see the VESTAS wind power plant and the renewable education issues are being taken seriously in this nice small town. Renewvet team visited the workshops and the classrooms (located in different sites) of the Escola Tecnologica e Professional de Sico. The visit to the castle and the kind reception of the local president were sparkled the day. The evening was also very enjoyable with the nice surprise of having dinner in a local wine production facility. The meetings next day helped country teams to come up with finalized outline of the country report and the deadline for completing the country reports (30th Nov., 2011) was determined. contents. Thanks for Portugal groups kind hospitality. The 3rd project meeting started with pleasant welcome of the lovely country of Portugal at the Porto airport. We appreciated especially the warm weather The whole „Slovak“ group of participants managed to find the way to Coimbra thanks to clear instructions received from the organizers. We enjoyed the first day of interesting excursions and the visit of the wind park (not so much the travelling there, but we have managed also this part ). The overall program of the meeting went on very well, things have become clear - we all know our further tasks and finally we are looking to the organization of the next meeting in lovely winter atmosphere in Slovakia – don’t forget to bring your skis and warm gloves and caps! maintenance, controlling the system etc. I think it is very good value to get %15 of energy from renewable for Portugal.My friends from Ankara decided to transfer as technical theacher to Penela to work with Mr Vieira after seeing conditions in his school. In the dinner no one afraid of the vine glasses will empty.Becouse it was guaranteed by the producer.At the end we nearly completed our country reports. Every thing is ok. It means we understand each other clearly. After one more step we will get main outcomes of our project. I have to say thank you for their hospitality of our Portugal partners. Thanks for the hospitality of ETP SICO team in Portuguese. I enjoyed much during our visitation to Penela. It was also nice to share the happiness of the 20th year of the school. I was surprised very much at our dinner and liked it too much. Considering the Renewvet project, we are coming to the end of the project and I am pretty sure that the project outputs will be useful. I am also so pleased that the partners are agreed to participate in Ege International Energy Symposium (www.egeenergy.org). This event will enable us to share the products of the project internationally. Looking forward to seeing Renewvet team in Slovekia for the next meeting. First off all I like London. The meetings and technical tours were effective for our team and also for me. 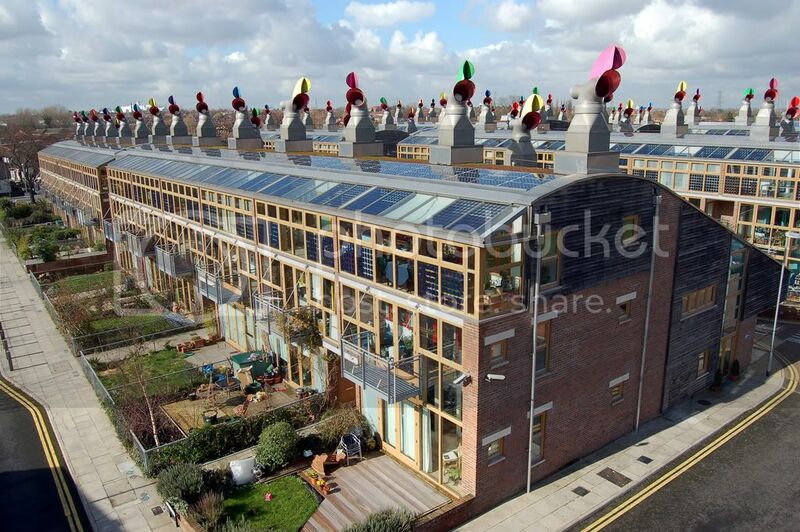 Bedzed was good demonstration for renewable energies but maybe they need little maintains. Bottom line it was good experience for me and I appreciate for every thing to Dirk for every thing. Second meeting of the project, but my first participating in. And also my first visit to London and it was exciting. So the project meetings and the visits to North West London College and BedZed are very effective times for me. I think the project will be succesfull if the tasks will do each team. And thanks for Embrace hospitality and also Dirk. Our trip has started with Visa struggling, finally having UK visa, we felt very happy ☺, it was really astonishing that we get the visas at the last day before our trip. We arrived London on Saturday, since we don’t know London underground very well, it was very difficult for us to transport with our colleague who has wheelchair. Third day, we worked on report structure, our partners from Portugal and Slovakia found Turkish team more ambitious than the project required ☺ But, at the last, I think we reached common agreement about the structure. Coming to Bedzed, it is the first time I have seen such facility with almost zero carbon emission. I hope one day most of the buildings turns in to that way. Probably, it will be must. Finally, thanks to Dirk and Fergal for their hospitable welcome. The most attractive parts of this visitation were BedZED and Graham’s presentation about the existing vocational training status on renewables in UK. 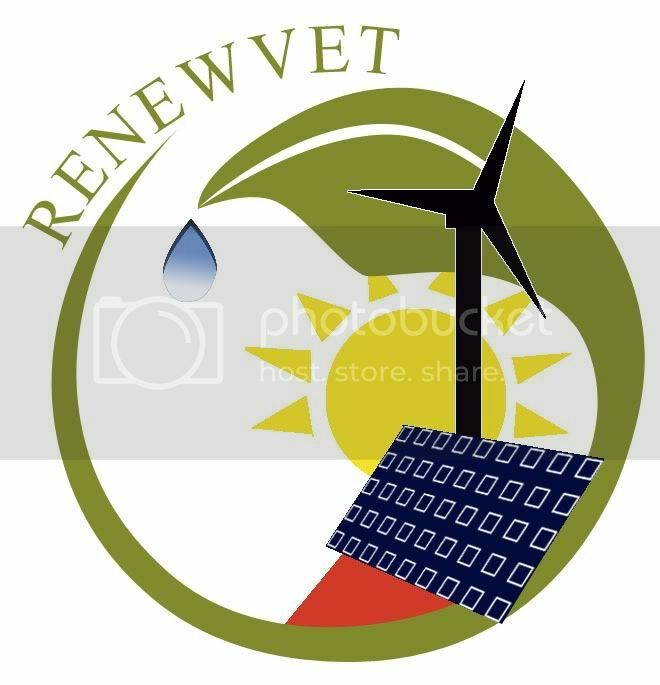 Although I sometimes lose my motivation, I am glad to be a member of RenewVET. I am willing to see the successful outputs of the project. I admire BedZED. On the other hand I enjoyed London, specially the parks. For us that are “beginners” in these kind of things (international projects and renewable energies) everything we can learn is rewarding. A special thanks to Dirk and Fergal of EMBRACE CORPORATION for the hospitality and a word of thanks to Barish Ozcelik for the initiative. Thanks for all for the kindness. See you in Penela in October. The 2nd partnership meeting was prepared for the last weeks (since March 2011) by supporting Turkish participants with their visa support letters, arranging the accommodation, assessing best transport options (to the office/ meeting place, going into town etc). We then prepared the programme and send it for review to everybody. It was important for us that the programme was suitable within the project but also allows for flexibility if the group would like changes to be made. We picked up the participants from their hotel, 20min by bus from the meeting place in Brixton, South London. We have one person in a wheelchair and this meant to analyse the transportation carefully. It is easier to go around by bus, more difficult to use the underground or British Rail because there are not many stations that have disabled access, or that had working lifts. For me it was the first time I travelled with someone in a wheelchair and it was shocking how difficult it can be to get around town without support. How much can wheelchair users in London enjoy what the city has to offer? Renewable Energy is our responsibility to our grandchildren. So, it is our future. People recognizing this reality and working on it will make all the difference. When I meet our group, I saw these kind of people making a difference. Everybody was so positive and motivated on the subject. Presentations of partner institutions showed that the selection of partners was very successful. I’m amazed that all that structure has been established in only a week. In the afternoon, a school visit took place. Although our school didn’t have so much to offer especially at the end of the day, it was a nice welcoming of our friends made me happy. Because, I didn’t have so much time to organize school visit, considering I spent most of my time in local directorate rather than the school. Many thanks to the colleagues in our school. We arrived in Ankara after a very long flight from London via Munich and got to Ankara around lunch time. We were picked up by a friendly cab service waiting for us at the airport. Then we went to our hotel in the new district of Ankara, just outside the city centre. We noticed that not many people in Ankara wear seatbelts - not even the police. This is a very interesting experience coming from the UK (being born in Germany) where seatbelt enforcement is so strict and the fines (at €60) are prohibitively high. At the beginning of the meeting partners presented their institution with interesting information in order to give way for further cooperation. The afternoon’s visit to the Mimar Sinan Vocational School convinced the group that the Turkish are a very kind and hospitable people. The common dinner in the Irish Pub (hooray there is an Irish Pub in Ankara) was a pleasant conclusion of the first working day of the RENEWVET Partnership. Review of the project outcomes and tasks took place in a friendly atmosphere and we continued by visiting the METU – Middle East Technical University and Center for Solar Energy research and applications. It was a nice experience to return back to the university and remember how we covered thin layers, subsidized semiconductors by ions or created conductive layers of the silicon chips. The evening continued in the traditional Turkish Kebab Restaurant – Mangal and Turkish beer in Hayylam Pub. This partnership project is very exciting for us as we are together with new project partners we've not worked with before. This is always interesting as new ideas and ways of working can be explored collaboratively and new lessons can be learned. The topic of Renewable Energy is at the heart of what Embrace does and we wish to share our experiences with anyone interested. There is still quite a difference in the uptake of renewables in all partner countries and on the first day we heard very interesting presentations from all partners about the state of renewables in their countries and regions, together with a partner introduction. I would never have imagined that all the tasks would have been distributed between partners in 20 minutes. Everybody was ready to take responsibility, but special thanks to Dirk and Mete for taking even more. After the meeting we went sightseeing, the mausoleum was magnificent, as it is always used to be.The panoramic war section of the museum was also very good, the emotional speech of the soldier guiding us was really interesting. The Castle offered traditional things to buy , taking this opportunity, Stephen spent all his money . The dinner at the Mangal restaurant was very relaxing after all the mornings rush. Extremely spicy Turkish foods were the main subject of the evening. I am looking forward our next meeting and a walk around Hyde Park, too. Warmest Regards from cold Malmö. Its amazing to see how diverse this partnership actually is, from universities to NGO's, vocational high schools to commercial companies. This makes for an interesting learning experience. This project will help us to further understand renewables in a European context and also the similarities, differences and country specific specific context for training and development in this area. Nothing will go forward in this sector unless there are well trained operatives being able to design, install and maintain renewable energy equipment - be it Solar PV, hydro, or wind power. Vocational training should be at the heart of every country establishing feed-in laws and other incentive schemes. Our impressions of the meeting held in Ankara were very positive. ETP Sicó Penela - represented by Mr. Guilherme Vieira, Director of the vocational school in Penela, and myself, Stephen Thomas, can safely say that all objectives proposed in the schedule organized by Mr. Baris Ozcelik were achieved. On the first day of the meeting, each of us introduced our respective institutions and explained in English what exactly we did regarding renewable energies. After seeing a presentation on the vocational system in Turkey we were given a very interesting tour of Mimar Sinan Vocational High School. Here we observed how renewable energies were taught on a vocational level. On the second day of the meeting we began by presenting the situation of renewable energies in our respective countries. After lunch we began by discussing the objectives, results, expected impacts dissemination and communication between partners. All participants agreed that part of our project would consist of creating common country reports that would follow the same layout for each one. Following a short break, the visiting partners were taken to Ankara University where they were shown how photovoltaic solar panels were being developed in Turkey. Finally, in the morning of the third and last day of the meeting, we established a work plan and timetable of future meetings. All partners made a positive evaluation of the meeting. During the afternoon we were taken on a tour of Ataturk’s mausoleum, which provided a valuable insight into Turkey’s past and present. ETP Sicó Penela was pleased to note that, during the course of all of the meetings, we were accompanied by a member of the Ministry of Education, Mr. Ismet Kebapci, who was also a valuable source of information. In addition to this, we were delighted with the accommodation and transport organized by our host, Mr. Ozcelik, to whom we would like to say a special thank you.